Hi guys! 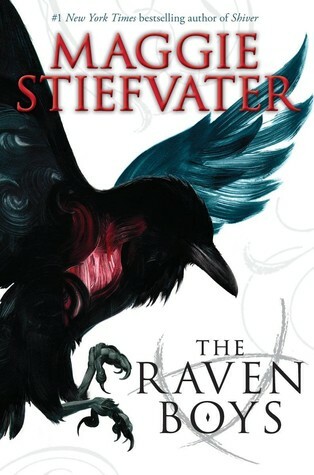 Welcome to the 2nd discussion for our July Read Along: The Raven Boys by Maggie Stiefvater! Huge thank you to everyone who joined us for chapters 1-23 a couple weeks ago! So excited to discuss (or flail over) the end together! 1) How surprising was the truth about Noah? Did you see it coming--did it completely floor you? Did you have any other suspicions about him? And after the reveal, did you notice what his first line in the book was?! 2) Noah and Blue have something of a friendship. What do you think of it? Did you like it? Do you think it'll change later, and if so how? 3) What's your current opinion on the romantic aspects? Do you have a ship? Are you hoping for more of a certain pair? 4) Whelk was always shady, but did you suspect just how deep it went? Were you surprised at that reveal? And do you feel any sympathy for what happened to him, or think another way of handling it would have been better? 5) Adam's situation at home was terrible, but what did you think of how that turned out? Particularly Ronan's part in it? 6) Adam's sacrifice. What do you think of what he did? How do you think it'll affect him later? 7) Were you surprised when Blue's mom let her go along with the boys--and then joined in helping them herself? Had you guessed that her mom knew what was going on? 8) Did you have a favorite character? Who was it and why? Also, did you have a favorite PART of the book as a whole? Which part? Why? 10) There's loads of hype surrounding this book and series. Did The Raven Boys live up to that? Did you enjoy the book as a whole? And do you plan to continue on to the next book, and maybe, possibly, the rest of the series? If so, do you have any predictions about what may happen next? If not, what about this novel did not work for you? He smiled tolerantly at her. Rubbing his smooth chin with its recently assassinated chin hairs, he studied her. She barely came up to Ronan's shoulder, but she was every bit as big as he, every bit as present. Gansey had a sense of incredible rightness, then, with everyone assembled by the Pig. Like Blue, not the ley line, was the missing piece that he'd been needing all these years, like the search for Glendower wasn't truly underway until she was a part of it. He strode over to the ruined church. This, Blue had discovered, was how Gansey got places --- striding. Walking was for ordinary people. "Out of the blue?" Calla asked. "I'd prefer if you didn't use that expression," Blue said. "His name wasn't really Butternut, was it?" Gansey asked Adam in a low voice. "I didn't say it was possible," Gansey replied, not looking up from his splint. "I just said that was what I would like." Well, the car she could still live without. Ronan, taking in Blue's posture and Gansey below, observed, "If you spit, Blue, it would land right in his eye." If I'd been anybody else in the world, she thought, this would've been my first kiss. "I don't mean to interrupt. But in either three or seven minutes," Persephone said, "Blue's raven boys are going to pull down the street and sit in front of the house while they try to find a way to convince her to sneak out with them." "Well," said Ronan, "I hope he likes it. I've pulled a muscle." Gansey scoffed, "Doing what? You were standing watch." 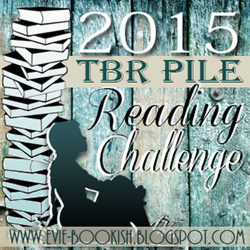 Remember, it's never too late to sign up for the 2015 TBR Pile Reading Challenge. While sign-ups are now closed, you'll be able to sign up again when Jessica posts her July - August on August 25th! 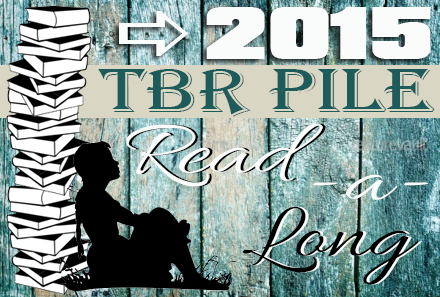 Also, check back later to vote for September's Read Along book!